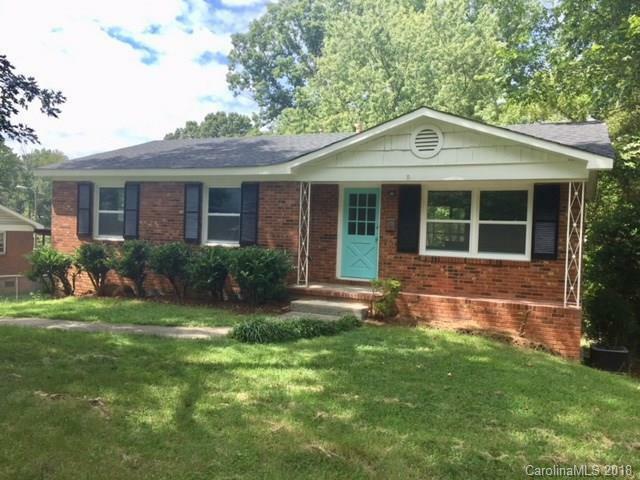 Complete top quality remodel of this 1960's brick ranch in BOOMING West Charlotte's Historic Westchester neighborhood. Minutes from Uptown! A "to the 9's" renovation with new HVAC, electrical, roof, windows & more. Step inside to the newly refinished solid oak hardwood floors throughout the main level. The total kitchen makeover gives the lucky owner new white Shaker style cabinets, granite counters, stainless steel appliancesand yes, an island with more storage & seating! Beautiful new baths with ceramic tile. Prepare to be wow'ed by the lower level! You'll find the expansive Rec room, laundry area & tons of storage finished with maintenance-free luxury vinyl plank flooring. Beautiful new french doors lead you to the large patio area and level back yard. An added bonus is the 1-car attached over-sized garage with large workshop/storage area. Detached carport for additional covered parking. Seller to provide up to $500 on a one-year Home Warranty on this home.